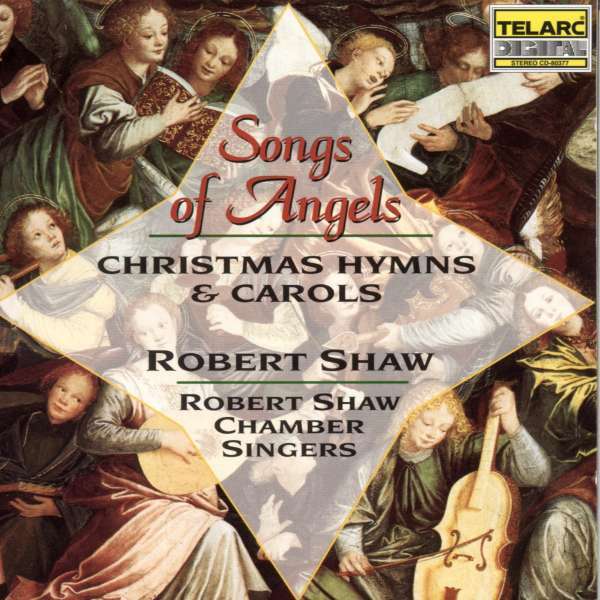 Der Artikel Robert Shaw Chamber Singers - Songs of Angels wurde in den Warenkorb gelegt. This Robert Shaw release is the perfect follow-up to The Many Moods of Christmas. 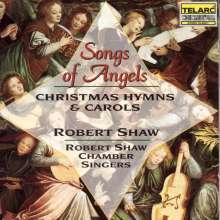 On this CD, Telarc recreates the programs from superb performances of Robert Shaw and the famous Robert Shaw Chorale. Hörprobe Track 4: How unto Bethlehem? 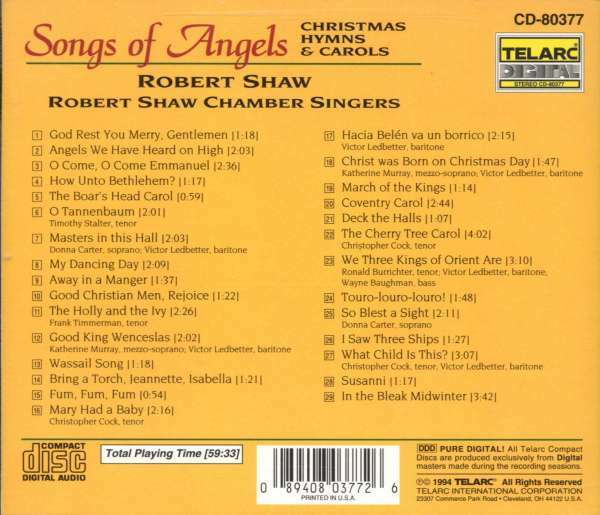 Robert Shaw Chamber Singers: How unto Bethlehem? Robert Shaw Chamber Singers: Touro-Louro-Louro!